While I never got why Iron Man needed a sheild accesory when he's already encased in armour, this advert was inescapable. Each time I read it I'd quickly figure out which figure I would grab first (Dr Doom, Cap, Dr Octopus, Iron Man, Spidey, Wolverine, Magneto, then Kang - poor, poor Kang), in the hopes a well laid out game-plan would save me indecision time should the day arrive. Did it? No. (Insert sympathy here). 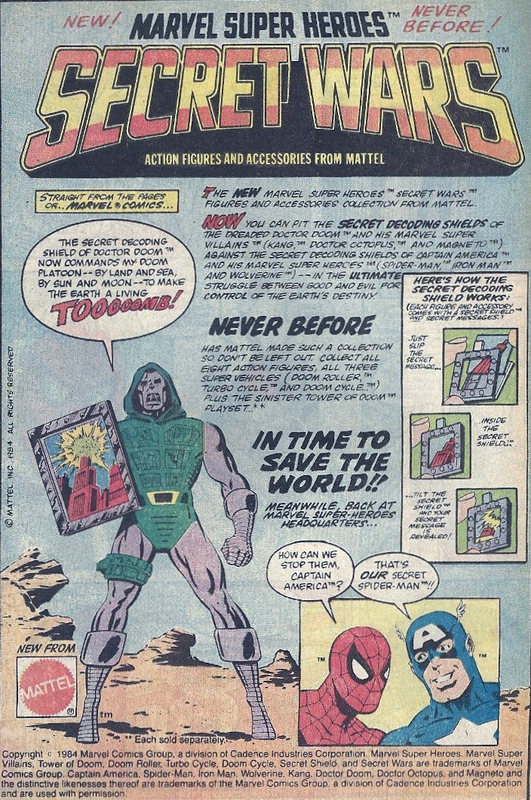 I had that Dr. Doom figure. I think he's still around, buried in one of the boxes my Mom sent over to our house a few years ago. I've never met a Doom figure I didn't like Craig, so if there was ever a figure to hold onto for a rainy day, I'd say he's a pretty good choice!